​It’s finally feeling like autumn here in East Tennessee. This season is the perfect time to let go of things that no longer serve a purpose in our lives. I’m continuing to de-clutter my house, which has been an ongoing project for a several years now! I have discovered how all this material clutter that surrounds me is directly related to my spiritual and emotional well-being. As I mindfully clear away my unloved/unwanted possessions in baby steps, with the intention of creating more space and more simplicity for my family, my mind becomes more clear and calm. Stress levels starts to lessen. It works the other way, too. The more I take care of myself through prayer, meditation, my yoga practice, and rest, the better I feel and the more I get accomplished. Yoga also helps when a difficult stored emotion surfaces as I’m decluttering. For example, I was a stay at home mom for 16 years. A couple of weeks ago, I boxed up craft supplies that haven’t been touched since I started working full time outside of the home. I had chosen to leave my difficult marriage, which also meant giving up precious time with my children. My heart broke. As I went through our craft stuff, I remembered how much fun we use to have sitting at the table making craft messes. Like that time I accidentally squirted a tube of sparking pink paint all over the wall! My daughter thought it was hilarious, so I didn’t even bother to clean it off. Our mark was left there for years until I did decide to paint the room. With the good memories, also came the bad. I once again felt anger and resentment and bitterness toward my ex for everything he had ever put us through. I remembered how I struggled with the decision to be less available to my children during the day. Now, my ex hasn’t lived I’m my house since November 7, 2010. I have already healed deeply from the wounds created from years of neglect and manipulation. I have come to terms that my ex will always be who he is and that a narcissistic personality cannot be changed. However, I apparently needed to go deeper within, so this clearing clutter session created for me another healing session. Yoga and meditation came afterward, and on my mat I found freedom to cry again and let my truest emotions, which I have often kept hidden, flow freely. I was reminded that all of this decluttering is a process. Removing all the stuff that has taken a lifetime to accumulate, physically and mentally, will never magically go away. Sure, I could just toss material belongings into the trash, and often I wish that was part of my personality. I envy those people who seem to be able to just throw things away or walk away from situations they don’t like anymore. It might seem like they simply don’t care, but I’m beginning to think their wounds might have once been just as deep. Perhaps their lives are more in balance and they have had adequate support to get through their stuff. One day, when my healing is nearing end, I will be that person. The one who can let things go with more ease. The one who finds freedom in a more simplified life.The one who finds stillness in the cleared space. The one who finds peace in unconditional love that’s allowed to grow there. Until then, I will continue to invite my yoga practice to restore balance and act as my support through my detox period. Yoga will help me, just as it has in the past, to be patient with myself and act toward others with a more a gracious and compassionate attitude. I am breaking unhealthy habits and becoming the person I’m suppose to be. I’m thankful for all that has brought me here, even when I look around at the mess and want to run away screaming like a mad woman! It’s a mess but it’s my life right now. It’s my story, and now I get to help write the ending. To get where I am now, ready to share my yoga passion and to share with others the benefits of yoga, I have had to choose to make some changes in my life. 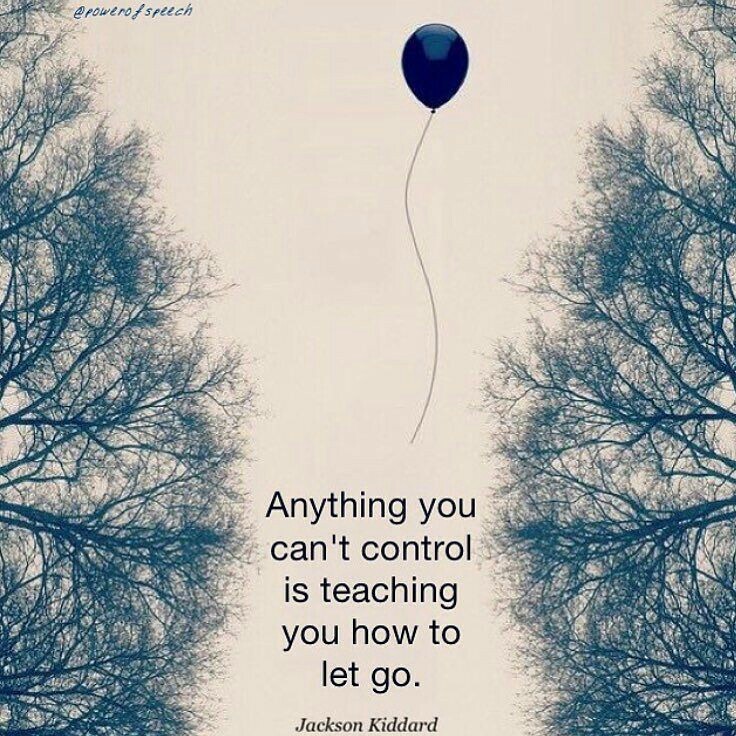 I have had to choose to let go of things that keep me stuck, and to surrender to what is and what may come. Considering FEAR is most likely my greatest great obstacle…fear of failure, fear of rejection, fear of change, fear of judgment and criticism, etc, etc…I hesitate to share this post publicly. Of course, that is exactly why I should do it. My goal is to help others find their own truth through yoga, to help heal their hurts and to find their voice. Therefore, I have no other option than to put myself out here. Sunday I went out to complete an assignment that was given to me by one of my own healers. I have had seven people die whom I loved dearly and who played influential roles in my life. These loved ones continue to haunt my energetic body, my mind, and my spirit as I struggle to let go of my own anger, hurt, guilt, and regrets surrounding our relationships. As a result, my heart is unable to fully accept love from others, and even though I may love others with every fiber of my being, I remain unable to express it in the fullest capacity. Dr. Kate Flynn of Activating Ascension suggested that I find a body of water by which to do a letting go ceremony in honor of these loved ones of mine. I set out with the intention of finding the perfect place to practice yoga and hold my letting go ceremony. I was limited on time so I couldn’t spend too much time searching, though. At first, I did not believe that the place I ended up was as “perfect” as I wanted it to be. There were people in the area, a lot of background noise, and no place to spread out my yoga mat. I worried what these people were going to think about what I was about to do. I worried that I would be distracted, and end up wasting my time. I sat for a few minutes contemplating if I was going to stay or leave, if I was going to follow through or chicken out. Next thing I know, I was recording a video (which can be found on my Prakrti Yoga Facebook page if fear doesn’t prevent me from posting it), practicing yoga in the shallow river water, and selecting seven rocks to represent each person I was letting go of. I meditated on each person, sharing with them what I was feeling, thanking them for their presence in my life, and asking for whatever traits I admired most about them to live on through me. At the end of each person’s mediation, I released the rocks into the water as I promised I would now be ok without holding onto to them in such a way that hindered me from moving on. My Loved Ones 1-4 were easiest to whom to say good-bye. Two grandmothers and a Grandfather who lived long, full, loving lives in strong faith. A best friend from way back in high school who was a kind and compassionate leader. Next was a troubled ex-boyfriend with whom I share my oldest child. I have been processing for several years not just his death, but a whole host of issues between the two of us. Saying another good-bye to him hurt a little less this time. My 6 and 7…definitely the most difficult. I didn’t think I could do it. Enter the most beautiful wet dog to give me a great big hug. Up until that moment my space had been respected, and I was in my own little world. This precious guy knew what I needed, though, and although his owner was a bit embarrassed, I was thankful. I had been wondering for several years how I was ever going to let go of the babies I had lost early on in pregnancy. How was I supposed to let go of these souls who were never really acknowledged except in my own heart, who were never really mine, and who I never even got the chance to touch? My furry visitor brought much comfort to me and gave me the courage to continue. While I am still uncertain of how best two honor my babies completely, I know they showed me how great my intuition can be if I allow it to rise, and they taught me that love is stronger than anything physical or visible, that love is stronger than any doubt. Perhaps I wasn’t completely successful in letting go with these two, but I am a little more free from a stronghold. I did complete my assignment to the best of my ability, and there isn’t one thing about my experience I would change. It turned out to be as close to perfect as it possibly could have been, and it was only made even more special with the knowledge that I had support for what I was doing from people who love me. I was even granted an extra hour, which made it possible for me to stay in my perfect place long enough to watch families playing and children laughing.